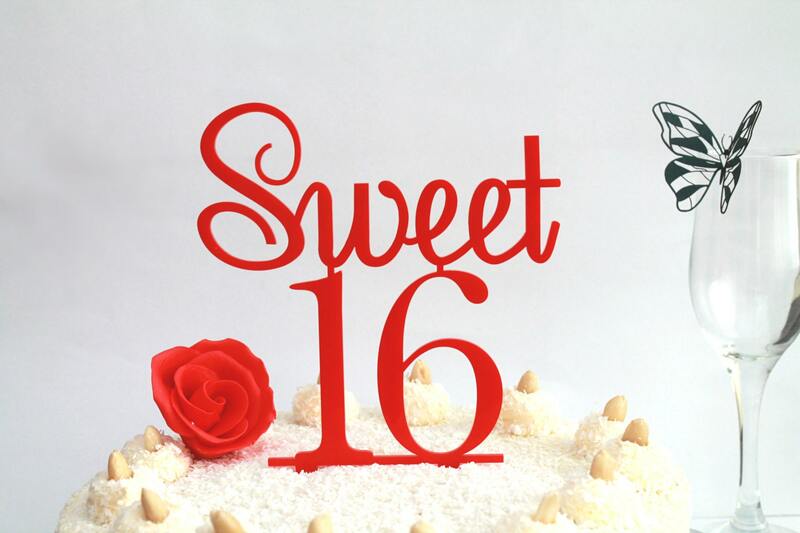 Sweet 16 Cake Topper is perfect for your "Sweet 16" Event! 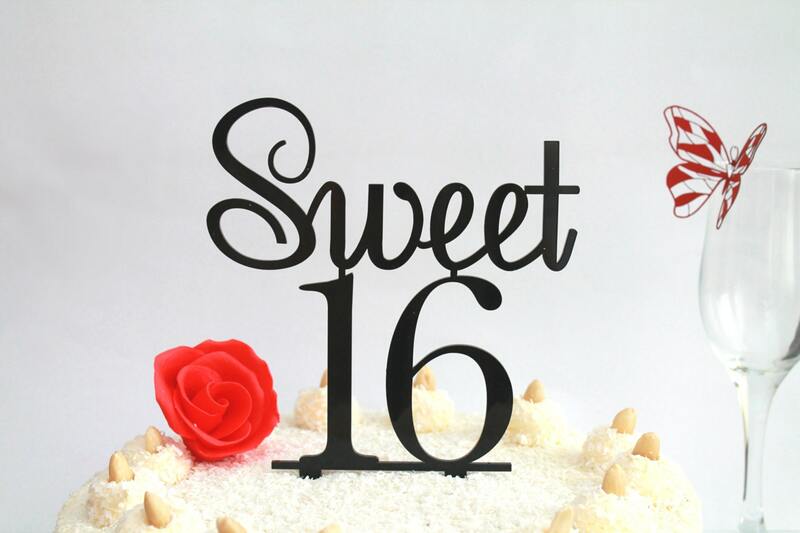 Table decor for 16 birthday. 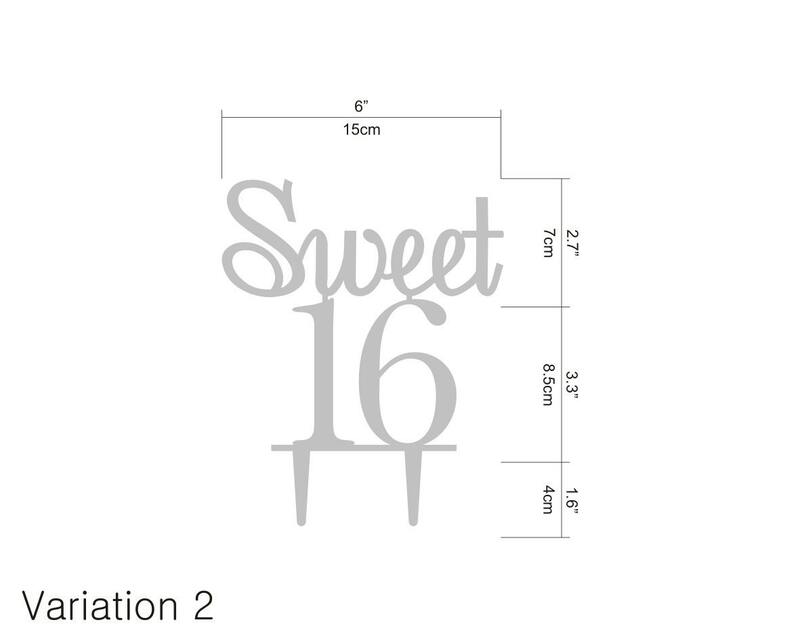 If you want a custom size or text, please write me! 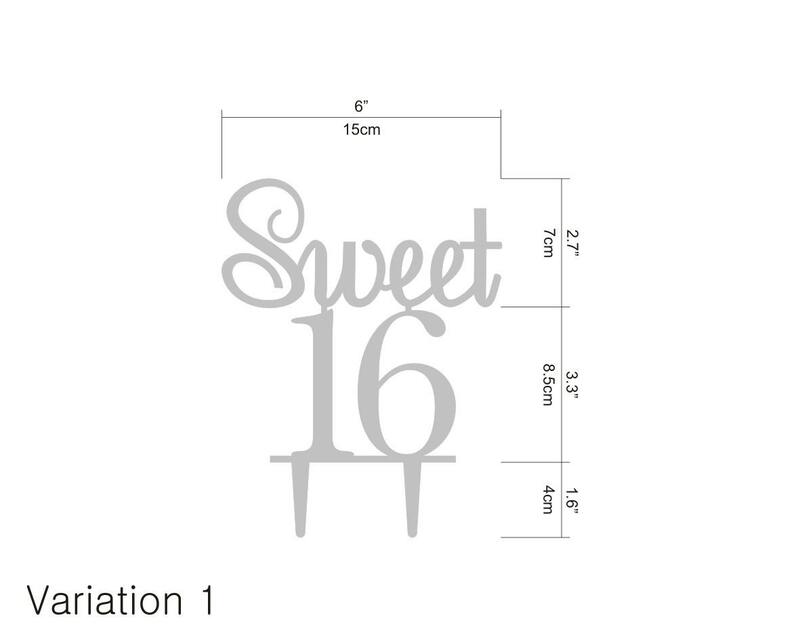 The width is 6" and the height is 7.6".